With a week or so of the new expansion under my belt, I’d like to share some first impressions of Knights of the Eternal Throne. To folks who haven’t finished or started yet, fear not, I promise to avoid spoilers. Following up on the events of Knights of the Fallen Empire, the nine-chapter conclusion is a terrific ride. Once again, Bioware has crafted a story where you get to be the center of a massive Star Wars adventure. The scope is epic, and the stakes couldn’t be higher, but the drama stays focused on the characters. I’m not embarrassed to admit I got choked up a couple times and sat at the edge of my seat during the climax. While not everything is explained and a few plot threads dangle, the major characters and story beats come to an extremely satisfying conclusion. If you enjoyed the previous chapters, it’s worth hopping on to see how it all ends. Most of the classes have received some tweaking and several abilities have been revised or replaced with others. Operatives’ new ability to throw ninja throwing stars already feels like something they should’ve been able to do from day one. However, I already miss some of the other old animations. Flame thrower is such an iconic Bounty Hunter ability that not only was Boba Fett shown shooting fire on both his first action figure card and poster but it is also the icon for SWTOR’s Bounty Hunter class. The Jedi Knight’s and Sith Warrior signature channeled attacks have also been replaced with instant abilities. Mechanically, the Jedi’s Blade Dance and the Sith’s Ravage were the same thing, but the animations boldly set the classes apart: the Jedi’s attack was acrobatic and precise and the Sith’s was an overwhelming display of power. The new animations are nice, but they just don’t compare. I understand that these changes were made in the interest of giving melee classes more mobility, but from an aesthetics point of view, I can’t help but feel like something has been lost. And while Mercenary Bounty Hunters can still use Death from Above, my Powertech has had it replaced with a move a friend has dubbed “Backpack of Doom.” In this case, the change strikes me as a solution to a problem I’m not really sure exists. I’ve always described Death from Above as my all time favorite MMORPG button to press, and I’m disappointed that the Bounty Hunter I play can no longer blast into the air and rain down missiles on her foes. Upon reaching level 70, characters will unlock the Galactic Command interface, which provides a wide array of activities in which to participate and the framework from which gear upgrades are now earned. The loot boxes with random rewards have been the cause of much uproar, but I can’t say it’s bothered me too much. After a week and a half, between crafting and drops from the boxes, I feel like my character is appropriately geared considering how early into the expansion it is. The transition to Galactic Command has been a shock to be sure, but I think it’s worth pointing out that the gearing system we had during KotFE was outright terrible. That we could farm content that ran the entire gamut from trivial to easy for 220 gear every week, and best-in-slot gear two out of every eight weeks was horrible design. It had the net result of rending every other bit of content irrelevant. Crafting and flashpoints and storymode ops (some of which are harder than HM Eternity Vault and Karagga’s Palace) yielded worse gear, so why bother? As for other Hard Mode Operations, there was no incentive to attempt tougher content. Why spend hours banging your head against Hard Mode bosses for gear you can get for free elsewhere? I’m not blaming the players for taking advantage; heck, I got my 224 mainhand from Soa just like you did, but I won’t fault Bioware for wanting to move away from that system. Is Galactic Command the solution? I don’t know, but I’d argue it is a step in the right direction. Players can participate in whatever content they like, and still work towards rewards whether their thing is farming heroics or wiping on HM Revan. Yes, there are flaws in the system. It’s not friendly to off-specs and alts; for now crafting is going to have to cover those gaps. And you have to feel bad for folks on cold streaks. A friend has opened twice as many crates as me, but is still waiting on her first set piece. That’s just not fun. In addition I truly believe teams running Hard Mode content beyond EV and KP should have more control over how their group gears up since they are actually doing stuff where that loot matters. However, these are not insoluble problems that require scrapping the entire Galactic Command system. 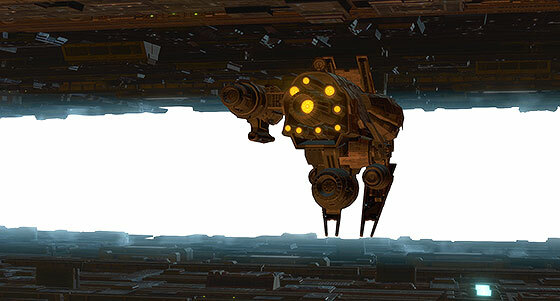 The last thing about Galactic Command upon which I want to comment is in regard to the Galactic Command XP boosts. It’s not my place to tell people how to spend their money or cartel coins, but I will not be buying any. Having to pay extra on top of my subscription to maximize GC advancement is something I simply refuse to do. These boosts are something more than cosmetics or conveniences, and I think everyone knows that. 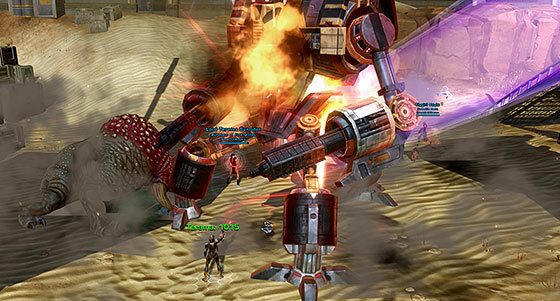 I’ve only just dipped my toes into SWTOR’s latest group content, Uprisings, but so far they are a blast. These are flashpoints without the fluff. They are intense and fun with hilariously over the top power-ups and genuinely neat boss fights. So far the best part for me has been how great it is again to be discovering challenges where I have no idea what the junk is going on. Learning fights, getting lost and screwing up with friends is a great way to pass the time in an MMO. I’ve also tried a few story chapters in Veteran mode and was pleasantly surprised how challenging they are. I expected that they’d be nothing more than non-face roll mode but quickly learned that I couldn’t spam AOE on every pack and expect to survive. I had to use my cool downs and play smart to finish many fights. I’m truly looking forward to learning these a bit more. 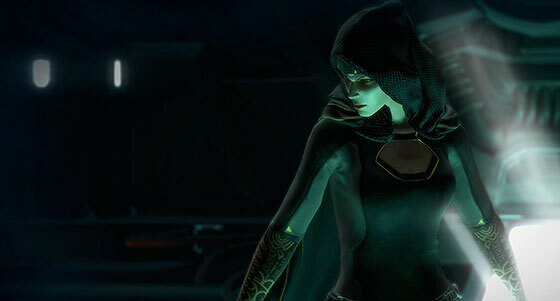 As I write this, it is a weird time for SWTOR. For the first time, I’m not really sure what to expect of the game next year. 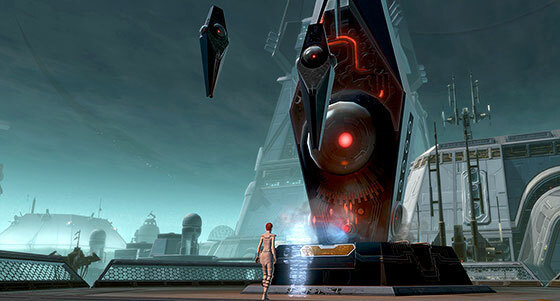 Beyond more Uprisings, Bioware has been frustratingly coy about their plans. With previous expansions, I felt like I knew what to expect in the months ahead. I don’t have the impression that more story is coming anytime soon, and “operations” remains “the word that must not be spoken.” Uprisings are great, and I expect I’ll get some mileage out of replaying chapters on increased difficulties, but I’ve got to wonder how long that stuff will hold my interest. It really is long past time that Bioware let the players in on their roadmap for the game in the coming year. The ball is in your court, Bioware. No pressure.